After an epiphany of sorts—about memories. By 2004, I had lost one parent and the other was becoming fragile of mind. I guess the ongoing feeling of loss and reflection produced an insight from my hoards of genealogy records. The essence of most people—who they once were—disappears in less than 100 years after they die. I hated the thought that subsequent generations would know less and less about how wonderful my parents and other family members were. Could I prevent, somehow, the dwindling of their essence into a stack of facts and photos? About the time I was mired in this, I saw an announcement in my local newspaper about the writing groups that my public library sponsored. I didn’t have to think about it long; I joined one. Whether nonfiction or fiction, all the stories I have written so far are connected to preserving the essence of the people I have known or heard about. For example, the essence of Nikodimas, my great-grandfather, had faded amongst his American relatives during the more than seventy years since his death. From comments I am hearing, my book, Until the Robin Walks on Snow, does seem to be increasing the light in his essence, as if someone turned a lantern up and made a room brighter. More than forty years ago when I was in my teens, I interviewed my grandmother and numerous other relatives about family history. I took a few notes about the 1.5 pound baby born to my grandmother in 1922. It is astounding to me now that I didn’t ask more questions. In the fall of 2009, my Uncle Tony reminded me about that baby. My uncle is a retired engineer and a naturally curious person and problem solver, much like my father was, and like their grandfather, Nikodimas. Since this event about the baby had some mystery attached to it, my uncle and I became more and more intrigued as we talked. I wrote Until the Robin Walked on Snow in 3 years, but I was not working on it continuously. The first rendition was a 12-page story. My uncle loved it and my writing group was enthusiastic. Most of the suggestions were about fleshing out all aspects of the story, which I continued to do. In the same period of time that I was writing this story (about my family trying to save this extremely premature baby in 1922), dramatic changes were occurring in the publishing industry. When I realized in early 2012 that my uncle was going to celebrate a milestone birthday in November 2012, and it seemed that the story would appeal to more than my family, AND eBook novellas were selling well, I decided to take the plunge, as they say, and publish the book. The paperback was released in September 2012 and the eBook the following month. How did/ do you research? I did research throughout the book’s development. Early on, verification of the relevant family history and finding out as much as I could from relatives about the story were important. Intermingled with writing spurts, I researched the medical aspects, Prohibition, the weather, etc. The genealogist in me also pursued current day relatives of the midwife who could shed more light about her and other characters. I have so enjoyed learning more about the “essence” of the people in my story and getting to know individuals connected in some way to my characters. I have always loved history, especially social history—the lives of ordinary people. Just like many other readers, though, I am drawn to stories about ordinary people who rise to meet the challenge of an extraordinary event, especially with less tools and technology than we have today. In writing about a different time, I feel it is so important to put the event in its own context: historical, cultural, geographic, etc. I have learned, though, that pinning down every detail in a work of historical fiction is extremely time consuming and further, that too many details can overload the telling of the story. When I was feeling unsettled about a historical detail in this book, the action I took depended upon how critical it was to my story. For example, there was one detail about the cars of the time that was driving me crazy, but I stepped back, and realized it was not important. I elected to simplify the sentence, though antique car lovers might have appreciated my chasing down the specifics. At the other extreme, I invested time to better understand the challenges of operating a combination wood/coal stove of the 1920s because it was central to the plot and authenticity of the setting. Then, there is the aspect of language. What did the structure of their words and sentences look like, sound like? On average, my characters spoke four languages. After some thought about this, I decided to draw from what I heard and observed when I was growing up, as I felt the English I heard would reflect the choices of expression in another language, as well as trigger the memories today of those who remember their immigrant relatives. In the conversations I observed when my grandparents’ generation was alive, I recall hearing facts, tactful statements and questions, stories, and seeing mostly subtle gestures. They rarely bragged or interrupted each other, and I don’t recall hearing slang or contractions like “don’t.” Through the development stages of this story, some of my reviewers commented that the language in the story was too stilted—too formal. That concerned me for a while, especially early on. But, the first clue that I should stay the course was when a member of my writing group said she would not change a thing in the dialogue; it sounded just like her Italian immigrant relatives. To date, not a single person of Eastern European origin, relative or not, has commented that the dialogue seemed too formal or stilted, nor have 80-something readers of other ethnic heritage who grew up in the same era. I even probed with my uncle, aunt, and a number of these older folks, and confirmed that the dialogue seemed familiar to them. I guess every author eventually faces that not every reader will love a book. I have come to accept that my decision on this language aspect which, to me, seems critical to the book’s authenticity, will put off some readers. How connected do you feel to your Lithuanian heritage / connection? Growing up, I lived next door to my Lithuanian grandmother and Polish/Russian grandfather. He was in poor health, but I was very close to her. When I was in 5th grade, she was the one who introduced me to my Eastern European roots. I can still picture in my mind talking with her that day and writing down the actual names of my Lithuanian and Polish/Russian great grandparents, and then her grandparents. It was just a school assignment—but a watershed moment in my life. I descended from a whole chain of people that went on and on! From that moment, I was hopelessly hooked on genealogy. I don’t write every day. Sometimes, not for weeks or months. In advance of any piece, I spend time thinking about the scope of the story, how to best start it, the sequence, and how to write the story so that the essence of each character will be revealed. By the time I am ready to write, the pages flow, and for many sections, it is as if the characters write themselves, especially if I am working on dialogue. Other writers have described this phenomenon, but honestly, I didn’t fully believe it until I experienced it. My writing environment is my home office which doubles as the guest bedroom. The room looks out over a small lake. The abundant birds and wildlife offer pleasant and needed distraction, whether from the window or a walk, otherwise I sit far too long working at my laptop when I am in a groove. Even though our property has little land, the expanse of water gives the illusion of space and in combination with the tall, old trees, a sense of freedom in some ways similar to that afforded by the land where I grew up. The book had six or so major versions, with minor revisions done as an ongoing activity. Between June 2010 and June 2012, the manuscript was reviewed 3-4 times by my uncle and aunt, the primary advisors, who grew up in the time period of the book, and twice by other family members, the obstetrician, and my writing group. In addition, my final draft was shared with selected friends, a midwife, a historian, and the antique stove rebuilders. Many useful comments were received. One concerned a historical misrepresentation which I verified, fixed, and for which I added an author’s note in the addendum. I see all my reviewers as potential contributors in improving content and style, as well as safeties in reducing risk. I am grateful when they take some of their time to help me and I tell them upfront that I will carefully consider all comments. After publishing the book, I gave a complimentary copy to anyone who helped—with review, research, or in some other meaningful way. 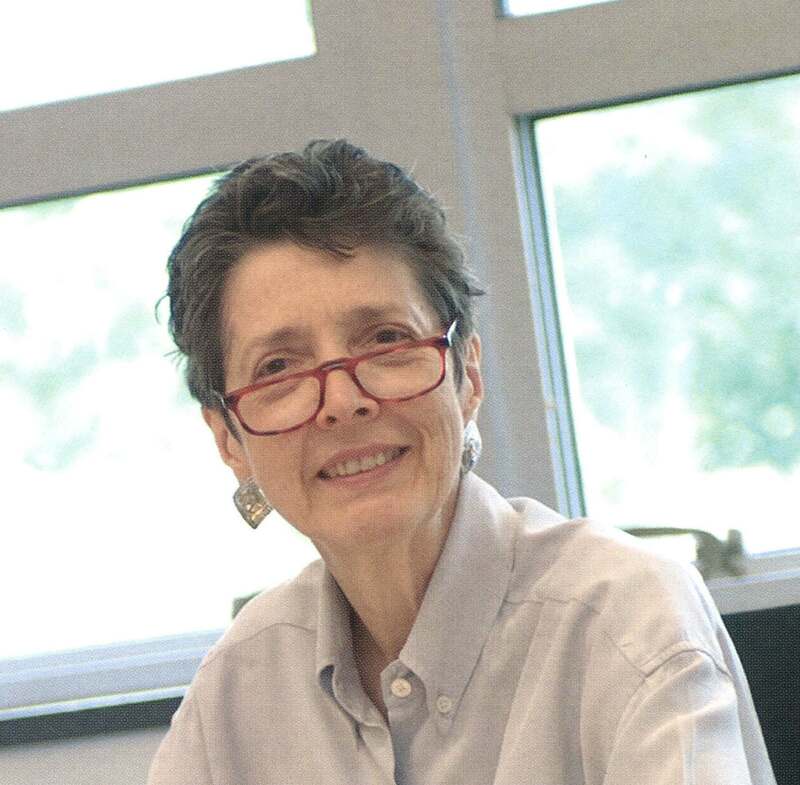 Though I was an English major in college and wrote frequently in my regular work all these years, I still learned a lot from the suggestions of my copy editor, Eileen Albrizio. Besides the usual things copy editors find, she took on the confusion in my narrative Point of View, giving me clear explanations of why the problem instances weakened my story and how to fix them. I carefully researched the technical requirements for preparing and uploading the manuscript for printing. What a relief it was when neither the paperback nor eBook was rejected for technical non-conformance. Once printed, I was the sole reviewer of the publication proofs. The lesson I learned there is that though others may think I am a good proof-reader, this author was too close to the material! The book had to go through a total of three proof cycles. I kept finding things. Ironically, if I hadn’t gone through the extra iterations, I wouldn’t have noticed a logical error in the story nor realized that book cover coloration can vary quite a lot from batch to batch. In their quality control procedures, both printers I am using (Lightning Source and CreateSpace), accept a wider range of color variation in a paperback’s cover than I would have imagined. Prior to the printing of the third proof, my cover designer adjusted the coloration. Largely, the issue has been resolved. Ernest Hemingway, Joseph Campbell, Anne Morrow Lindbergh, Anya Seton, Jean Auel, Sharyn McCrumb, and J.K. Rowling. This is such a fun question, Christoph. First, let me share this. 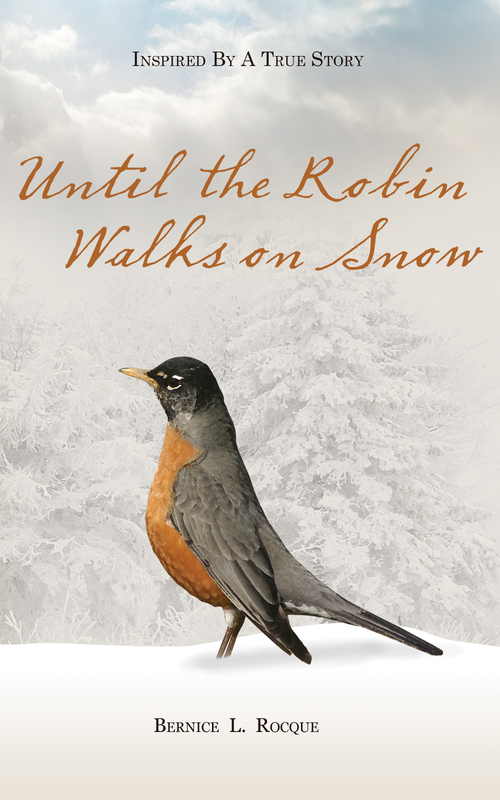 Two readers, independently of each other, told me that Until the Robin Walks on Snow reminds them of stories they have seen on the Hallmark Hall of Fame, usually broadcast during the holidays. Another reader said he could imagine my book as a play. Well, dare to dream… I can envision Scarlett Johansson as the midwife, Helena, and possibly Natalie Portman as my grandmother, Marianna. They resemble the two, are the right height and age, and skilled enough to carry out a quiet, intense drama. If my book is ever translated to a film, I hope a talented team produces it, possibly in the Hallmark Hall of Fame tradition. I loved the Glenn Close production of Sarah, Plain and Tall and the two sequels, first broadcast during the 1990s. Just recently, I learned that the author, Patricia MacLachlan, based that book on an event from her family history. What is your next project and where we would be able to find out about it? I have been thinking about the sequel to Until the Robin Walks on Snow, have done a little research, and so far have penned about 10 pages and gotten an initial reaction from my writers group. My official author site and a Facebook site, both coming soon, will provide news. I hope your readers will drop by, Christoph. Beautifully written. Thanks for such a deep review. As an Author myself, I am always fascinated by the way other Authors write: Do they write every day? Do the need a muse? Way to go! I so appreciate your comments, Revital and Paulette. The writing and publishing journey is so fascinating. The support I have received from authors such as Christoph and yourselves has truly touched my heart. B. We Authors need one another…Good luck! Bernice: would it be okay with you if Christoph gives me your e-mail address? beautiful and well written as much as appreciated. I enjoyed this interview. I thought the book was very well done. It had heart and I felt as if I was there with the characters. Yes, it was much like Sarah Plain & Tall. The depth of friendship demonstrated by the midwife was my favorite aspect of the story. The grandfather in the story was the other character I felt drawn to. Great interview, delightful book.